However, now that I have been doing this for a while and I’ve continued to educate myself about exactly how IF works, I realize that there is more to it than just not eating. (2 fantastic resources you can use to educate yourself about fasting is Dr Fung and Jimmy Moore’s collaborative book on fasting and Jimmy Moore’s Fasting podcast. Also my interview with Dr Nadia about fasting was very helpful.) In fact, as I have talked to many people in our 28 Day Challenge room, I’m beginning to see some common mistakes and wanted to address them. The Calorie In, Calorie Out hypothesis is so incredibly insidious that even when we know that weight loss is primarily a hormonal action, we tend to want to default to a calorie restriction when we encounter something new. The most common idea I come across in IF is that it works primarily by the CICO model and causes you to lose weight because you are restricting calories and this isn’t true. To see how the body responds to extreme calorie restriction, we can look at the Minnesota Starvation Experiment where people were put through a severe calorie restricted diet for 6 months to see what happened. Disregarding all the troubling psychological problems that surfaced, what they found is that if you put the body on a steady caloric intake, the body reaches a state of homeostasis to match the caloric intake with the calories used. In other words, if all you do is restrict calories with IF, you will lose weight at first but then begin to plateau and no amount of further calorie restriction will cause weight loss, even if the food you are eating is ketogenic. So the most common problem I see happening with people using IF is they start a regimen of say eating one or 2 meals a day, and then stick to it for months and the initial results they saw with IF begin to taper off until they finally stop. Sometimes they go step farther and begin to restrict calories even more which will have the same results, the needle moves a bit and them the body adjusts and plateaus happen again. So if eating less will give you diminishing returns moving forward, what is the answer? Well what is left? That’s right, eating more! So bear with me here, in the Minnesota Starvation Experiment we discussed above, we saw how the body adjusts to calorie restriction and slows weight loss, after all your body sees that excess weight as a survival tool and doesn’t want to just give it up. The answer is to confuse your metabolism by switching things up and including feasting with your fasting. These normal patterns of feast and fast are built into our DNA and are the normal way human beings survived for most of our history. You might go hungry for days while stalking your next kill but then you ate to satiation for as long as the kill lasted. So instead of picking an IF regimen and sticking to it, use it until you begin to see your rate of weight loss slow and start to plateau. Then switch things up and have a day or 2 of feasting. The key here is there needs to be a significant increase in the amount of calories consumed on feast days as opposed to fast days, you need to show your body that there is a difference. 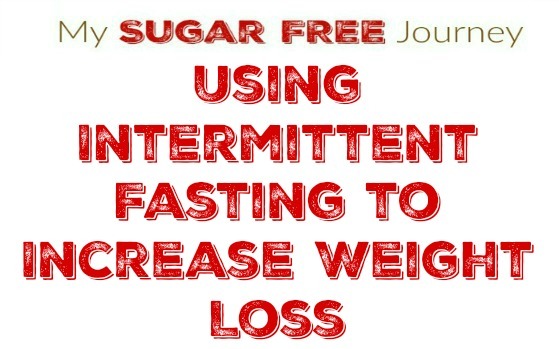 Then your metabolism will adjust to the increased calories and rev up, then when you return to fasting the increased metabolism will burn more fat. Another important note here is that even on feast days you are staying on a ketogenic diet because you don’t want an insulin spike reducing the rate at which fat can flow out of fat cells. On feast days, you WILL gain weight. After all, you have just used fasting to slow your metabolism and then doubled your caloric intake. But don’t freak out, the weight will come off very quickly in the next fasting cycle. It should also be noted that if you are at a weight that you are happy with, you can use a regular IF protocol to maintain your weight. This is what Terry Crews uses to maintain his huge muscles and body fat percentage. But if you are trying to lose weight, you will need to switch things up. Any questions? Leave them in the comments below and I will answer them as soon as I am able! NEXT POST Next post: 3/22 Weightloss Wednesday: Your Health Affects More Than Just You! You want a trick? Drink a gallon of water just before weigh-in. You will never lose.